Seagulls scavenging along the sea front have long been a pest to the beach goer, but the next time something white and messy hits you on the head, it might turn out to be a completely unexpected airborne object. One business in Lincolnshire has been trying out a ice-cream delivery service with a twist. Rather than hike down the beach with your 99 Mablethorpe’s Rock & Ices ltd can deliver your cones by drones! Using the ‘Ice Me’ smartphone app customers can order a variety of cones, including 99s. The drone is then guided by the customers GPS signal to deliver their ices straight to their deck chairs! 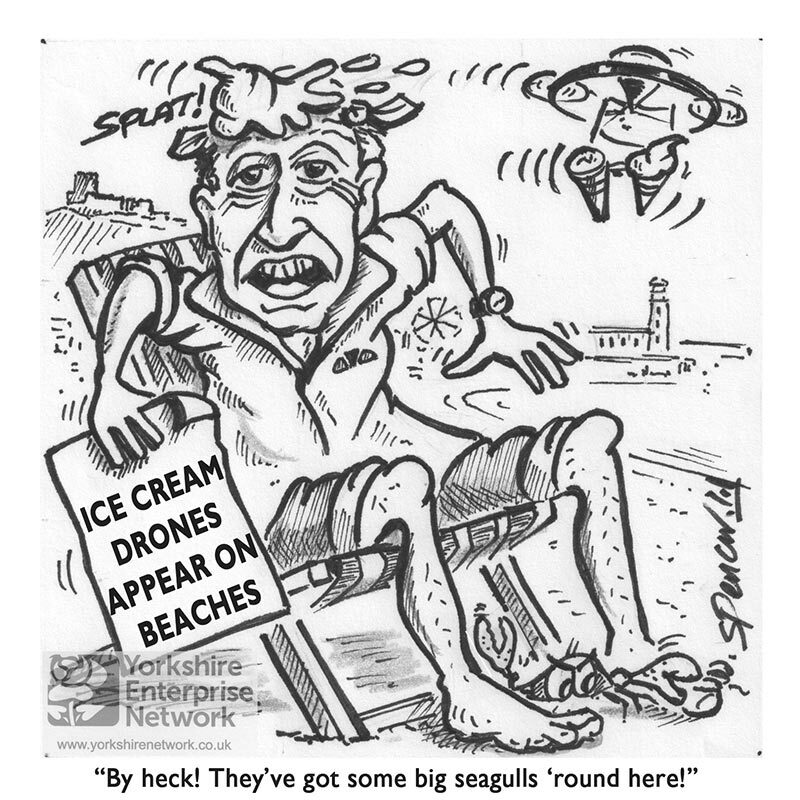 If the drone ice-cream delivery service gets official safety approval from the Civil Aviation Authority (CAA) it may not be too long before you see low-flying 99s over the beach at Scarborough.